Welcome to the newly admitted students of B Tech – First Year. All the academic affairs of newly admitted students of B Tech – I Year remains with First Year Coordinator and from second year onwards, all the students move to their respective departments. Here, the thrust is on sharing of experience with a peer group, to experiment with new approaches, ideas and new perspectives, with an objective of improving academic and overall performance of students. We communicate with students and share academic contents and information needed, very frequently. We look to develop analytical, practical and creative problem-solving strengths in our students, at the same time we encourage students to grow as effective individuals with strong set of ethics, communication skills and zeal to succeed. Dr. Brijesh Singh, Professor of Department of Mechanical Engineering is serving as first year coordinator at Galgotias College of Engineering and Technology, Greater Noida wef 2015. Being First Year Coordinator, he is also looking-after all the academic affairs of entire B Tech – I Year. Dr. Singh has teaching experience of more than 19 years and most of the time; he was actively involved in the planning, implementation and monitoring of affairs / issues related to academics and general administration of the organization. 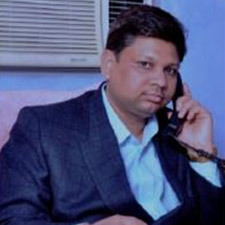 He is Ph.D. from Dr. APJ Abdul Kalam Technical University (formerly U. P. Technical University), Lucknow (research area – Industrial Engineering), M. E. (Production Engg.) from MNR Engg. College, Allahabad and did B Sc Engineering (Mechanical Engg) from Faculty of Engineering, DEI (deemed university), Dayalbagh, Agra. He has published 08 research papers in International Journals and presented 05 research papers in international / national conferences, so far.